STILL MISSING: Malen was 15 when she disappeared. Alejandro Ortiz, whose daughter disappeared in Magaluf in December 2013, posted a video on Facebook yesterday (Wednesday), after hearing the ‘terrible news’ about Diana Quer – an 18-year-old girl whose killer confessed this week. Offering his condolences to Diana’s family, Mr Ortiz reminded viewers that questions about his daughter’s disappearance remain unanswered. Malen was 15 when she went missing. “I know that the murderer or murderers of my daughter are in Palma and someone knows what happened,” he says in the video, which had already been viewed thousands of times on Facebook last night. He added that he is still offering a reward for information regarding his daughter’s disappearance. Mr Ortiz asked anyone who could help to come forward “for money or for being better human beings. Linking the disappearances of the two girls, he adds: “murderers choose their victims randomly” and suggests criticism of anyone other than the perpetrator is unfair. 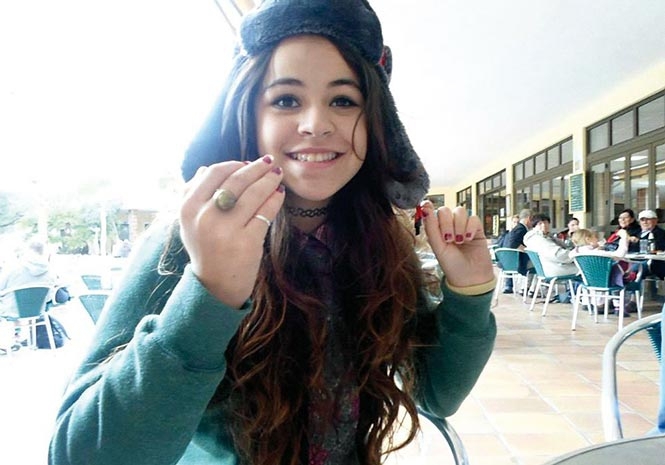 Malén was reportedly last seen at a Magaluf roundabout on December 2, 2013, when she went to eat at her boyfriend’s house in Son Ferrer, after leaving school. She was recorded for the last time carrying a green scooter by a petrol station security camera, after getting off a bus. She never reached her destination. The three-minute video ends with Mr Ortiz again speaking of his sadness about the Diana Quer case.